A 4.5 x 8 custom personalized school calendar magnet makes a great brand building choice for schools who wish to keep students, teachers and parents in loop. This magnet offers enough space for imprinting business messages and regular or special date information. 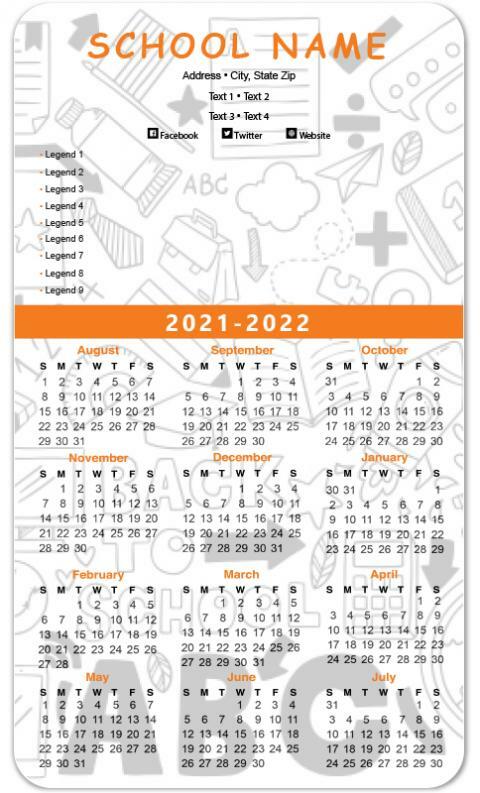 This calendar magnet is always treasured by parents and students, and they always keep it against refrigerator door or other visible surfaces. Product Size: 4.5 in. x 8 in.